The Hopkinson Report » THR 248: Is this the me generation, or has social media just made it that way? So one of the nights we went to a club called Hyde at the Bellagio. We were there early and it was a Tuesday night, but it was still kind of a scene. They have a great view of the fountains and the place was fairly crowded and the DJ was blasting out songs. At one point, there’s a buzz in the crowd, as several staff members make their way to a large VIP table area in the center of the club. There were beefy security staff clearing their way through the masses, and scantily clad women filling out the table area. 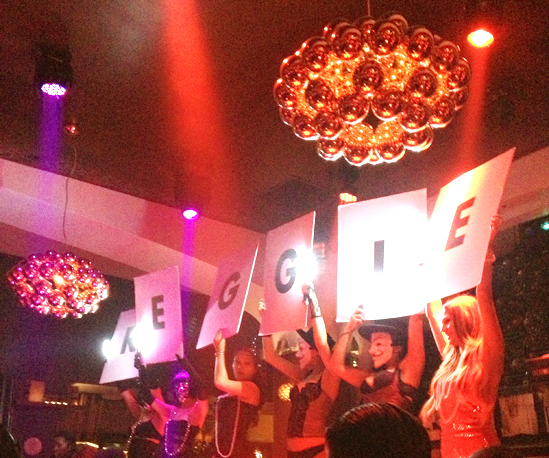 Then, the women proceed to stand up on the couches with bright LED lights, and hold up signs to spell out the guest of honor’s name: Reggie. I turned to my friend and asked, can you name any famous Reggies? My first thought was Reggie Jackson, but at age 67, I doubted the former Yankees slugger was out clubbing. Then we thought of Reggie Bush, the 28 year old running back now on the Detroit Lions that had dated Kim Kardashian for 2 years, but there was no sign of him. That would be pretty cool to see him! Now maybe I’m doing an injustice and there was a REALLY famous Reggie there. But we kind of realized, Reggie was just a guy out with some friends, maybe he got lucky at the Blackjack table, who pooled together some money (the cost seems to be $1,500 and up for bottle service), and wanted everyone in the club to know that he was there. And that’s nothing… there’s a $250,000 option where you can actually control the fountains at the Bellagio! It’s not just celebrities in the Kardashian clan like Brody Jenner. The debate around the time we’re living in – especially with younger millenials – is that this is the me generation. With reality TV, social media, websites for every genre, and helicopter parents, the world is now filled with self-absorbed, heavily tattooed, famous for being famous, spoiled brats that will not only focus on themselves, but take photos and videos to show the world and prove it. 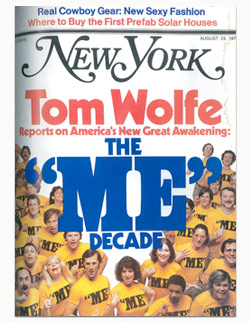 However, The Atlantic was quick to respond that Every Generation Has Been the Me Me Me Generation. – A 2007 article called All About Me talking about the generation in China. So that made me think, maybe Reggie is no different than you or I, he just has more of an opportunity to be seen. When I was in my early 20s I wrote a column for my college newspaper. I was on a campus of 3,000 and I’d say I had a following of a few hundred fraternity and sorority members, and maybe some other students that read it, but there certainly wasn’t a single person outside of Smithfield, Rhode Island that had any idea who I was – or would be able to even read it unless they came on campus and grabbed a copy. Now, my blog posts are available for the world to see within seconds, both on text and audio. I now have 5,000 worldwide students one of my online courses. I still want my voice heard like I did 20 years ago, but it’s just that the media to distribute that voice is infinitely easier. Hey Reggie. Look at me. Today’s topic discusses whether this selfie-taking, reality TV watching generation is something new, or something that has always been there Know what’s new? Exciting news. 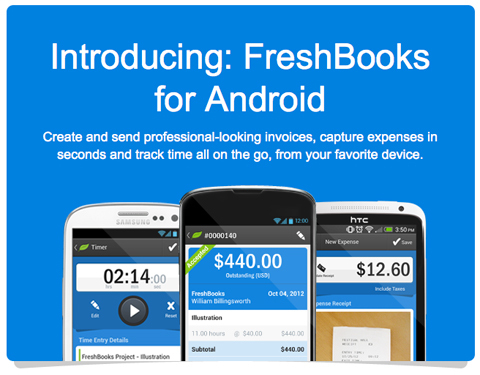 Freshbooks has released their app on Android. Previously, you could get cloud accounting from any browser on any device, and on the iPhone and iPad, but now you can download a specialized Android app from Google Play and get invoicing at your fingertips. This entry was posted on Monday, August 26th, 2013 at 4:04 pm and is filed under Branding / Advertising, Marketing Case Studies, Pop Culture / Entertainment. You can follow any responses to this entry through the RSS 2.0 feed. Both comments and pings are currently closed.